‘Singalong with Helen’ Volumes 1-4 are the result of working with children and music for more than 25 years, and it is this experience, under-pinned by her own training and education at the Royal College of Music, which has created such continued success for her music classes, and has led her to create her own CDs. The songs are a mix of the traditional and the new, plus some of Helen’s own compositions which were developed in response to a need for more factual, informative and educational songs. 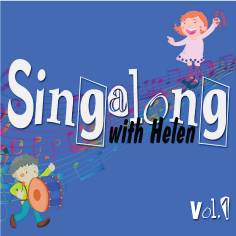 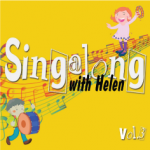 ‘Singalong with Helen’ Volumes 1-4 will become treasured tunes for you and your child, and you will never have another dull car journey again!